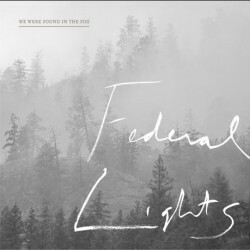 "We were found in the fog" is the band's debut album, which comes out via Aporia Records Aug. 27th, almost two years after arriving on the scenes. The album was recorded in Winnipeg and contains a number of 10 tracks, such as 'Sharks', 'I See Love', 'Reservation girl', and 'Skyline' amongst others. It's a record that comes from the heart and has all kind of music styles: pop, indie-rock and country.